For those of you itching to have your firearms/markers done up in A-TACS, there is now an A-TACS water transfer film being offered. Full release below. "Wanna add A-TACS to your firearms, scopes or other hardline equipment? Digital Concealment Systems now offer A-TACS film for aftermarket hardline decoration in an exclusive partnership with TWN industries and it's hardline decorating affiliates across the US. T.W.N. 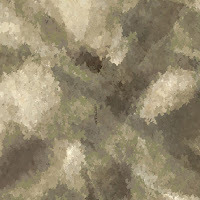 Industries, Inc. is the largest supplier of hydrographic camouflage films worldwide. Hydrographic decoration utilizes a specially designed water tank. Printed film is floated on the surface of the water and a chemical activator is sprayed to dissolve the film leaving the printed design suspended on the surface of the tank. Specially prepared and coated parts are "dipped" into the tank and the design adheres to the finish of the product. A protective top coat is applied and the product is ready to be re-assembled for use. For more information or to find a certified decorator near you contact TWN industries at 305-258-9622 or e-mail them at: info@twnindustries.com"
If you're unfamiliar with hydrographics, check out OCC's trip to a water transfer facility.